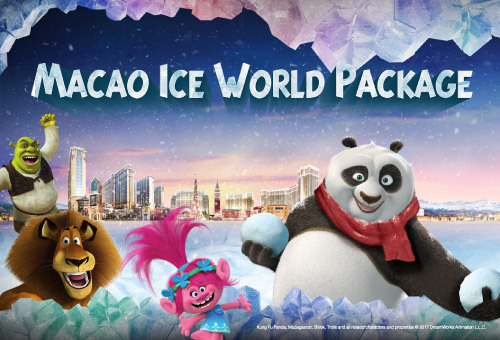 Macao – 31 May, 2016 – Conrad Macao, Cotai Central’s Facebook fans have the chance to win an incredible getaway when they upload a photo of one of the hotel’s signature bears at a world famous landmark to their Facebook timeline between 01 July and 15 August, 2016. All photos must have #TravelBear2016 and also tag Conrad Macao Cotai Central’s Facebook Page to be eligible. The best photo will win a magnificent two-night stay in the Presidential Suite including breakfast valued at MOP65,000. Over the past three years, Facebook fans have submitted photos of the bear on location around the world including Australia, USA, France, Italy, UK, Thailand, Russia, Japan, Belgium, South Korea and China. Conrad Macao’s collection of signature bears have become collectors’ items since the hotel first opened in April 2012. In addition to the signature gold bear that guests receive when they stay at the hotel, there is also an exclusive collection of four bears produced every year. The 2016 collection is a series of animal print bears, which includes a Chinese New Year Giraffe Bear, Snow Leopard Bear, Pink Leopard Bear to support Breast Cancer awareness, and in December, a spectacular Zebra Bear for Christmas. “We know our hotel guests are world travelers. Our Conrad bears would make great additions to their destination photos. We encourage all guests and Facebook fans to take pictures with their bears while away from home. Just take a photo of the bear against an iconic famous backdrop from anywhere around the world and upload it to their Facebook timeline. The best photo will have a chance to win an incredible stay here at Conrad Macao,” said Vice President, Hotel Operations, Bede Barry. Photo caption: Conrad signature gold bear sitting by Sydney Opera House. Conrad Hotels & Resorts is the destination for the new generation of smart luxury travelers for whom life, business, and pleasure seamlessly intersect. Conrad offers its guests an innovative way to Stay Inspired through a curated collection of 1, 3, or 5 hour experiences, available through www.StayInspired.com or through the intuitive digital Conrad Concierge app. Consisting of 24 properties across five continents, Conrad is part of Hilton Worldwide, a leading global hospitality company. Learn more about the brand by visiting http://news.conradhotels.com or follow us on Facebook, Instagram and Twitter.